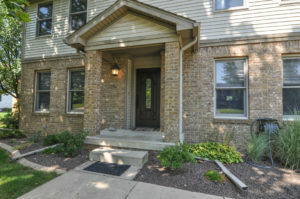 2410 Farmington Drive W. is located in Lafayette, just 15 minutes from Purdue University and approximately 5 minutes to East Tipp and Hershey Schools. 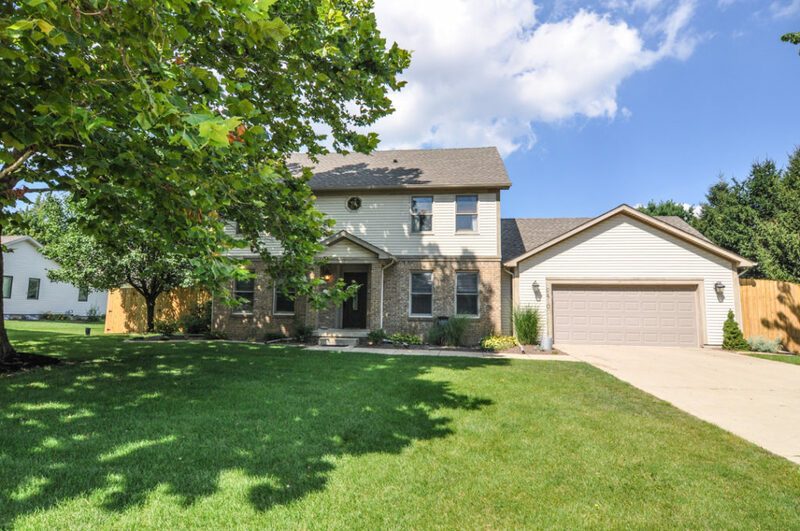 This beautiful 4 bedroom home sits on well over a 1/2 acre lot in Farmington Subdivision. 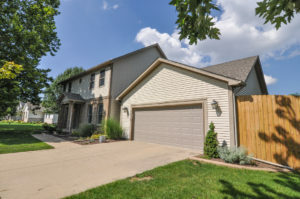 Come take a tour of this 3000+ square foot home! Upon entering 2410 Farmington Drive you’ll be welcomed by the covered front porch and the beautiful foyer entry with hardwood floors! 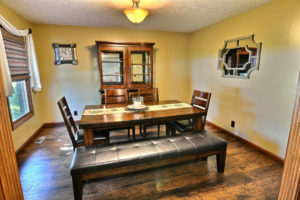 To each side is a lovely formal dining space perfect for holiday dinners and parties and the formal living room. 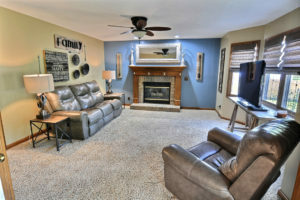 The spacious family room has a fireplace and is open to the large kitchen. 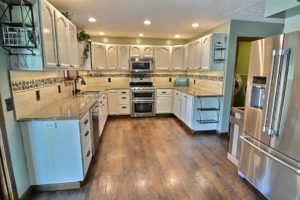 The kitchen offers a breakfast nook area, beautiful cabinetry with a ceramic tile backsplash and an island which is perfect for the extra counter space for prepping food, baking or hanging around while dinner is in the oven. From the kitchen you can quickly access the deck. 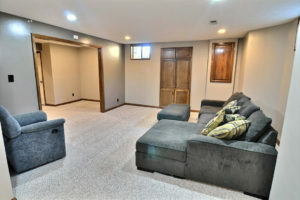 The master bedroom at 2410 Farmington Drive is located on the second level of the home! The en suite has tiled floors, a jetted tub, walk-in shower and plenty of storage! This space is perfect for relaxing with a good book, a glass of wine, and candles after a long day. 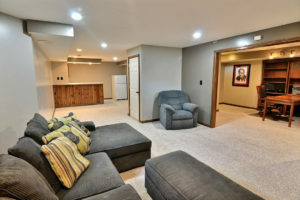 The finished basement is a great place for football gatherings coming up! This 900 square foot space would be the perfect get-a-way or a private space for someone, or even a home office or workout space. 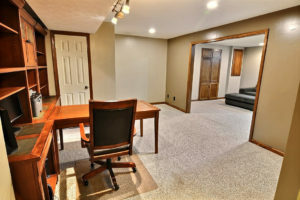 Either way, a finished basement is a great added bonus. Think of the storage space! 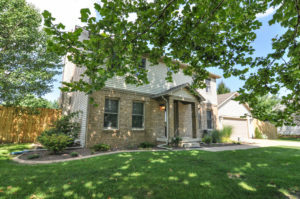 Let’s talk about the retreat of a backyard at 2410 Farmington Drive! You will love entertaining in this backyard that has a covered area which leads right to the pool and also a patio area to grill out. 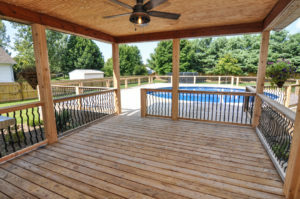 Your family and friends will love splashing and playing in this privacy fenced backyard. This space is perfect for letting the kiddos or pups roam around freely. 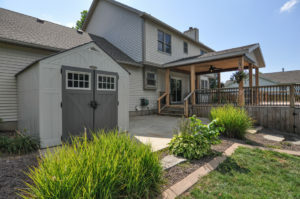 From the kitchen, the breakfast nook or the family room you can see this backyard space to keep an eye on things. With quick access to the kitchen you can run inside to refresh a drink or to check on dinner in the oven. 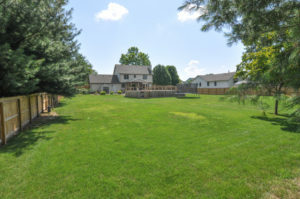 This yard has plenty of space for a swing set, hammock and a garden!